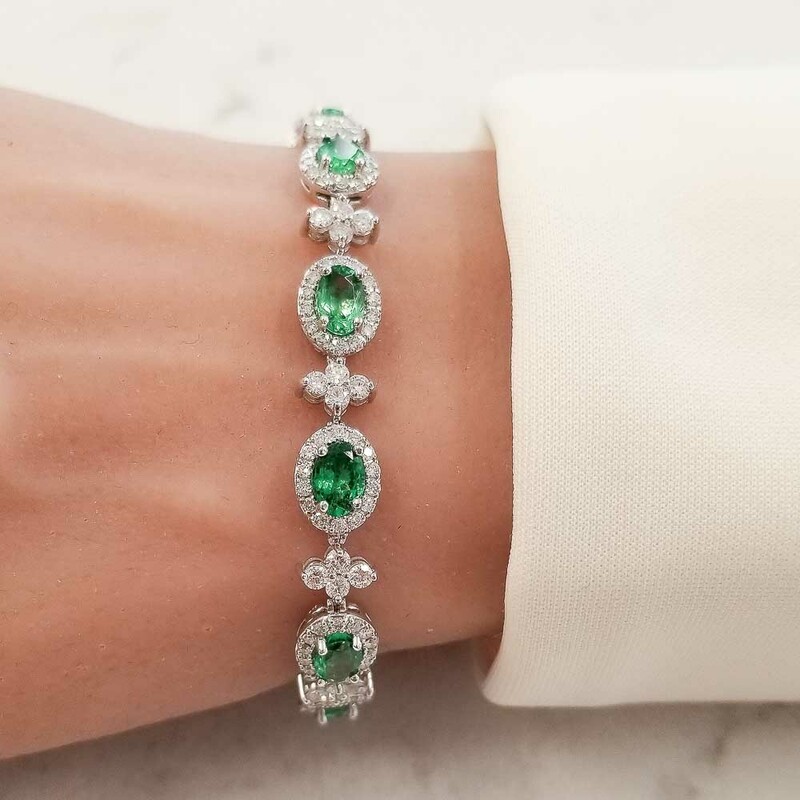 This impressive eternity bracelet boasts 11 oval cut intensely green tsavorite garnets prong set all the way around from end to end in one glorious row totaling 7.56 carats. The gem source is Tanzania. The color is vibrant green; its transparency and luster excellent. A grand total of 198 sparkling round brilliant cut, prong set, diamonds adorn this luxurious piece totaling 3.72 carats set into leaf shapes and halos from end to end in this glorious piece. Made in brightly polished 18 K white gold, this gorgeous bracelet closes securely with a hidden closure for your convenience.